Exhibiting company name, Stand number, or GES Customer number. Is your stand not listed? Don't worry! Your search returned no results. Please double check the spelling, or try searching for a different term. If you still cannot find your stand, you may use the Create A Stand link below to create a stand and begin ordering. Don't see your stand? Don't Worry! Please confirm your stand dimensions. Information for this show, including key dates and deadlines. 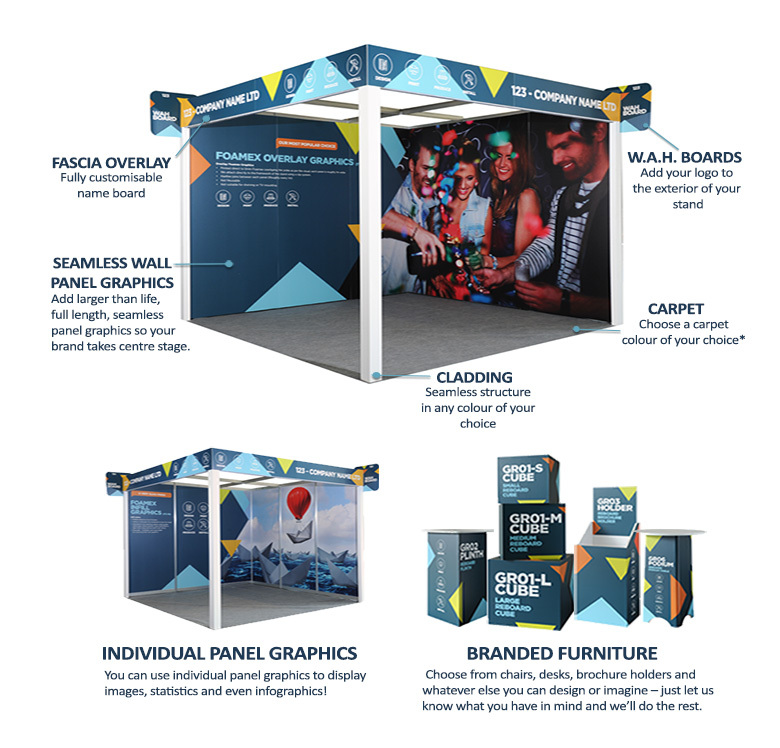 Order additional services or hire products for your stand. Everything you need to transform your stand and be noticed. Our ServiCentre is here to support you every step of the way. Call us today on: +44 (0)2476 380 190 Monday - Friday 08:30 - 17:00 GMT. Expresso is our online ordering tool that offers exhibitors a simple and seamless way to order everything needed from exhibit products to services for shows. To ensure prompt delivery to your stand, we need to know your correct stand number. Please enter all or part of your company name or your stand number and click on "Find My Stand"
We cannot find your stand based upon the information you provided but we can add you to our system anyway. Please enter your stand number and stand dimensions (if you know them) below and then click "Continue With My Order." Please select your stand and click "Continue With My Order"